With a driver-focused cockpit sitting at the heart of a family-focused interior, new E-PACE takes the rewarding Jaguar driving experience and adds everyday practicality. There’s never been a compact SUV like this before. 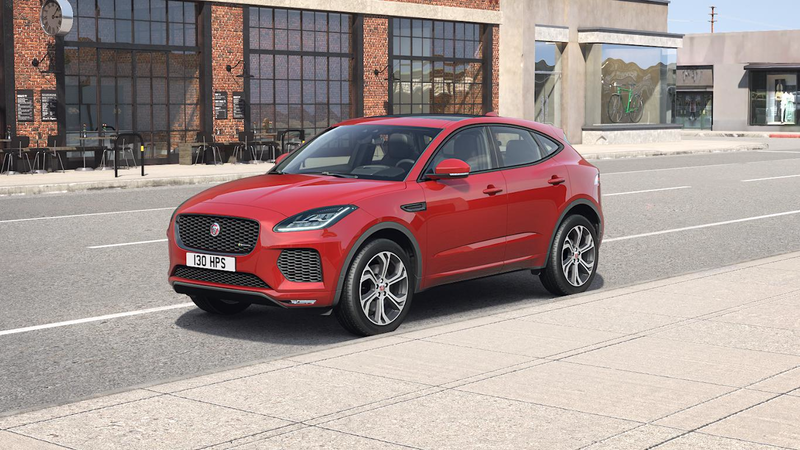 To enhance either refinement and comfort or the car’s performance, the optional Configurable Dynamics function in the E‑PACE allows you to personalize throttle mapping, gearbox shift points, steering settings and suspension* to suit your driving needs. All Surface Progress Control (ASPC) helps give added confidence in slippery conditions. It’s a low-speed cruise control that helps the E-PACE cope with low-traction situations, whatever the weather – allowing you to concentrate on steering. To enrich the in-car experience, Touch Pro offers up to 4 customizable home screens and fast response times as well as voice control. The interactive side panel lets you select from a choice of panels – so your main screen area can be used for navigation, while the side panel provides phone controls. Simply swipe up and down to switch between multiple panels. * European Model Shown. While we strive to provide accurate information, certain changes in standard equipment, options, prices, availability or delays may occur that may not be reflected. Options shown or described are available at extra cost and may be offered only in combination with other options or subject to additional ordering requirements or limitations. Some vehicles shown with optional equipment.